Clth, 9.75 x 13 in. / 354 pgs / 250 color / 250 bw. 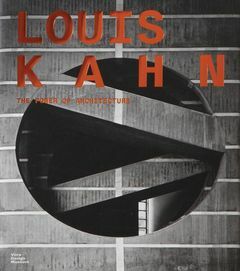 The first comprehensive publication on architect Louis Kahn in 20 years, a comprehensive documentation of all of his important projects. 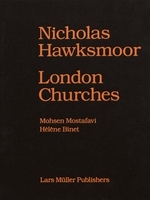 Edited by Mateo Kries, Jochen Eisenbrand, Stanislaus von Moos. 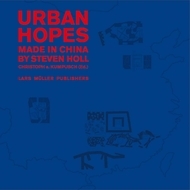 Text by William J.R. Curtis, Jochen Eisenbrand, Kenneth Frampton, Réjean Legault, Thomas Leslie, Neil Levine, Michael J. Lewis, Stanislaus von Moos, Eeva-Liisa Pelkonen, Florian Sauter, Susan Solomon, William Whitaker. The American architect Louis Kahn is one of the great master builders of the twentieth century. With complex spatial compositions, an elemental formal vocabulary and a choreographic mastery of light, Kahn created buildings of powerful archaic beauty. Among his most important works are the Salk Institute in La Jolla, California (1959–65), the Kimbell Art Museum in Fort Worth, Texas (1966–72) and the National Assembly Building in Dhaka, Bangladesh (1962–83). Louis Kahn: The Power of Architecture is the first comprehensive publication on this architect in 20 years, and presents all of his important projects. 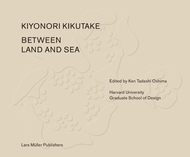 Essays by prominent Kahn experts discuss the sources, contexts and influences of his work; among the authors are such renowned art and architectural historians as Stanislaus von Moos, William J. R. Curtis, Eeva-Liisa Pelkonen and Neil Levine. Topics discussed include Kahn’s pioneering role in concrete construction; the visionary plans for his home city of Philadelphia; his years at Yale University; his dialogue with Josef Albers; and his importance for modern architecture in Southeast Asia. 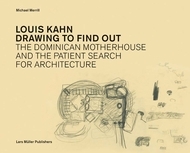 An illustrated biography provides new facts and insights about Kahn’s life and work. In interviews, leading architects such as Frank Gehry, Renzo Piano, Peter Zumthor and Sou Fujimoto explain Kahn’s significance in today’s architectural discourse. An extensive catalogue of works features original drawings and architectural models from the Kahn archive, many of which are presented with high-quality images for the first time. 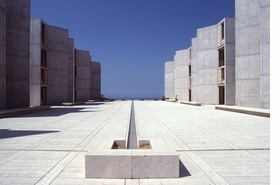 The book is further augmented by a portfolio of Kahn’s travel drawings as well as photographs by Thomas Florschuetz, which offer completely new views of the Salk Institute and the Indian Institute of Management. Born in Estonia, Louis Kahn (1901–1974) emigrated to the U.S. with his family in 1906. After studying at the University of Pennsylvania, and working for several architecture firms in Philadelphia, Kahn founded his own atelier in 1935. From 1947 to 1957, Kahn served as a design critic and professor at the Yale School of Architecture, and later as professor of architecture at the School of Design at the University of Pennsylvania. Featured image is reproduced from Louis Kahn: The Power of Architecture. Like so many artists, Louis Kahn had few opportunities during his lifetime to share his work with the world: he died nearly bankrupt in 1974. 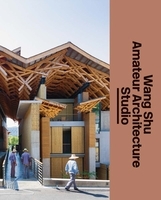 Yet decades later, he is continuously cited as a significant influence in today's architectural field; his projects have been realized ad recently as 2012, when his Roosevelt Memorial was constructed in New York. FORMAT: Clth, 9.75 x 13 in. / 354 pgs / 250 color / 250 b&w. 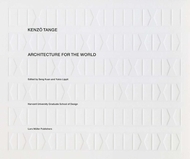 Published by Vitra Design Museum.